I’ve hurt many people along the way. It was never my intention but nonetheless, I’ve hurt them. And now, I am left with guilt, and I cannot forgive myself. But who am I to forgive? Few nights ago, I laid down in bed, ready to sleep, but sleep won’t come. so I was staring at the blank ceiling. It’s one of my favorite activities. I can sit or lay down and stare at the blank wall for a long time. I find it very effective in emptying out my mind and I always feel lighter afterwards. Sometimes, during my 10 minute break at work, that’s what I do in the back room of the cafe. When I got back from my break the other day, my shift supervisor asked me if I had a good break. I told him, “Yes, I did! I just sat in the back staring at the blank wall the whole time!” I meant every word I said, but I think he thought I was joking. So this night, I was doing that favorite activity of mine, as if I could possibly empty more. I’ve emptied out many baggages so far. I have actively sought for forgiveness from the people I have hurt emotionally. Those that I have scarred in their hearts were the ones that I loved the most in the whole world. They’ve hurt me, too, but, I am at peace with all the events that ever occurred in my life. God has turned my life around, and now I have arrived at a place where I can look back at my life and confidently say that the bad moments were the best moments of my life. But I have discovered that I was still holding a giant grudge in my heart. I was not resolved with some of the decisions that I have made in my past. In my eyes, I was still at fault, and I was struggling to forgive myself- something I find extremely hard to do. So not knowing what to do with what I was feeling, this night, staring at the blank ceiling that looked all white despite the darkness in the room, I started sobbing. I didn’t know what to say, I didn’t know how else to react to what I was feeling. But Jesus clearly knew what to say. I heard those words, and I cried even more. Who am I to forgive myself? If God offered His forgiveness, that alone should seal the ordeal to be kept away from me. I shouldn’t be in pain because I am not able to forgive myself. That’s so arrogant. It is a good thing to fall if by the rebuke of a just man the one who falls rises to his feet and his sin falls to the ground. For then the Lord rises upon the sin, trampling it under foot and stamping it down lest it rise again(sermon 54, In Cantica, n.6 P.L.). It wasn’t a coincidence that I came across this passage the very next day in The Silent Life by Thomas Merton. I imagined Jesus walking on the violent waters of my past mistakes and manias, the ocean under His foot and stamping it down lest it rise again. When Jesus has conquered that battle, He brought His peace to reign in my new found land. Do I really think that I have power to annul what has been done by God? Do I really believe that I am that mighty, that powerful? I am a sinner, and my fallen nature act out frequently reminding myself of how much of a sinner I am in God’s eyes. And in children’s eyes. I am ashamed. On a day like today when my inner shame and sense of sin weigh me down very heavily, I feel like I must not allow myself any sorts of joy or happiness. I should shut myself in a tightly locked dungeon, in a torture chamber, and I must not see anyone but stand naked being screened by the ray of my just God. I feel myself resisting the temptation. I lay in the sofa, unable to move, just reading my book, The Silent Life. Kids are so loud. They are so active. I think they need to get out and unbridle their energy. I think my sister could use some change of scenery. She has been stuck in the house for the last few days while the kids were sick. I don’t think I deserve any fun time at the coffee shop, but I think this situation calls for some outing. So reluctantly, I make myself get up. I put on my winter coat to cover my lounge clothes, and cover my head with a wooly hat. The kids love the chocolate cinnamon bread we ordered. We sit in the corner, the four of us, spending our mundane morning together. Nothing spectacular happened. The bread was gone soon, and we were ready to head back home already. Maybe we spent 30 minutes there. It took just as much to drive over there and back home. It took longer to get ready for that short trip of ours. But we all needed to get out. I, especially. Before I even had a chance to lock myself in my effort to atone for my sins, God rescued me from the narrow path to hell I was on. Let’s go to the coffee shop! 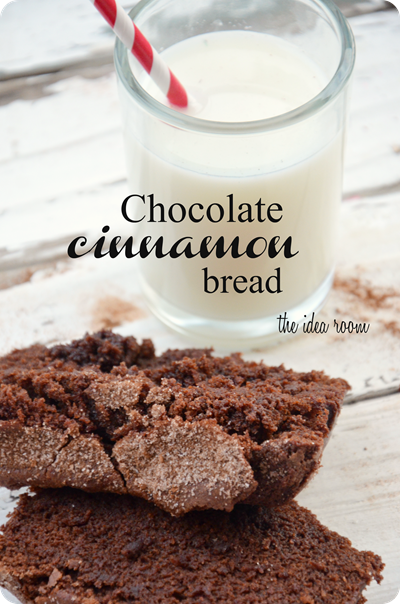 How about some chocolate cinnamon bread and some coffee? Jesus suggested using my sister’s voice. It was very subtle, and so easy to go unnoticed. But I recognized His voice, though it was hours later, after our trip to the coffee shop has been accomplished. I was doing it for myself. It was a special morning date with Jesus by His mercy for my soul. Thank you for going to the coffee shop with your family 🙂 The bonus is that chocolate cinnamon bread is soooo delicious. It was good! I am going to make one at home!